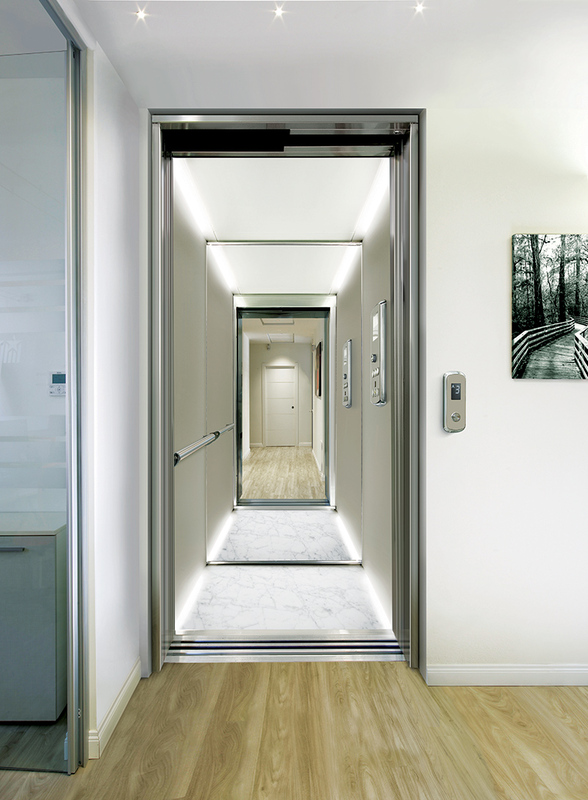 Premier Platform Lifts introduces Kmotion: The best traction lifting platform available on the market, with low energy consumption, space saving and super-simple installation, resulting in a true economical solution. 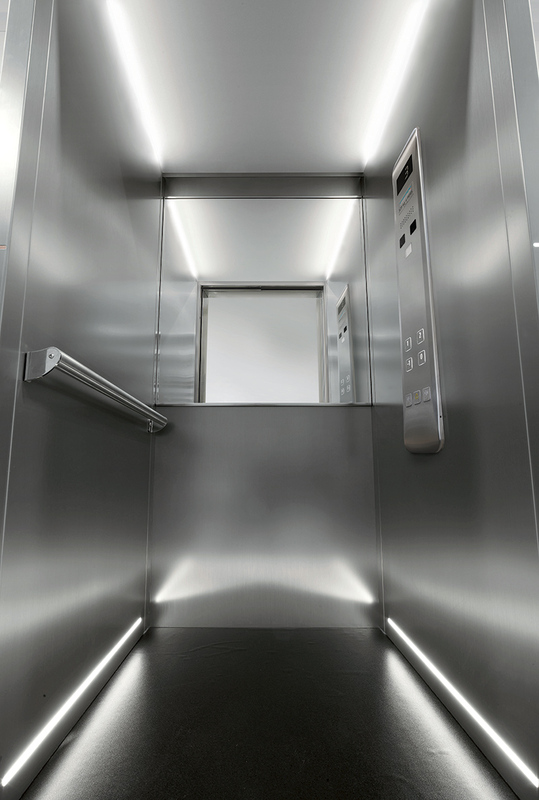 Kmotion is characterised by the complete absence of the machine room. It was developed with the use of a highly efficient gear-less motor, counterweights, a low pit of only 100 millimeters, and low headroom of 2450 millimeters. Polyurethane coated ropes ensure a noise free experience. 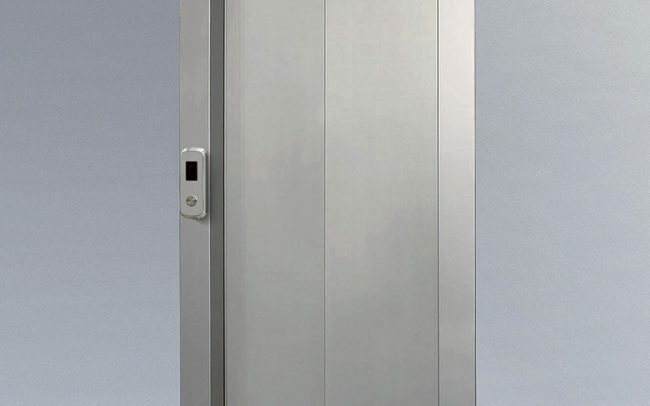 It has a low energy consumption that represents less than 170 watts for each 100 kg of rated load, and a stand-by mode giving complete energy efficiency. 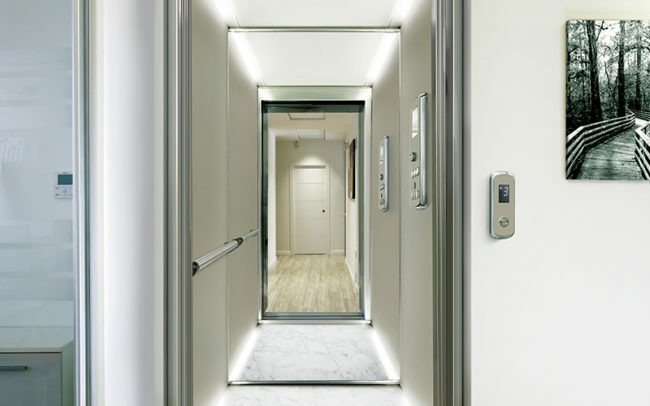 The Kmotion lifting platform has a reduced consumption by 50% when compared with traditional lifting systems with geared machines and up to 75% if compared to hydraulic systems. With an advanced human interface that stars from a COP that provides a scrolling button for an unparalleled destination selection experience, a fingerprint reader for access control and for a direct call, multi-language voice announcer, built-in music, full display and full led illumination. Installation is simple as building work is minimal, just a low pit is required, and headroom requirements are very low. 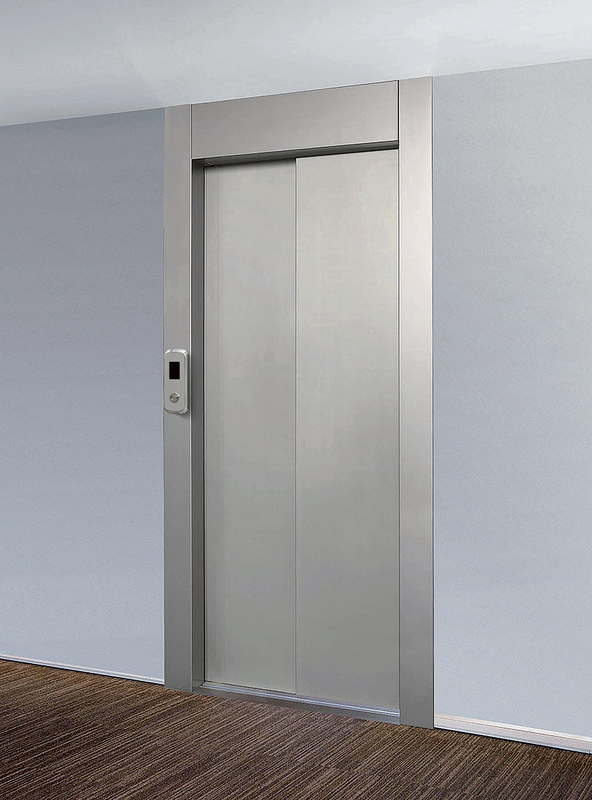 A standard Premier Platform Lifts installation usually takes just 3-4 days, with minimal interference to your building or the surrounding area, making sure that you get to carry on with your daily life. The Kmotion is proof that something smart and inexpensive can still have a state-of-the-art design. In the Basic line Kmotion is able to offer a wide range of skinplates and steels. The plus line offers nanotech material that ensures small scratches disappear using the heat and small movements of the standard cleaning process. 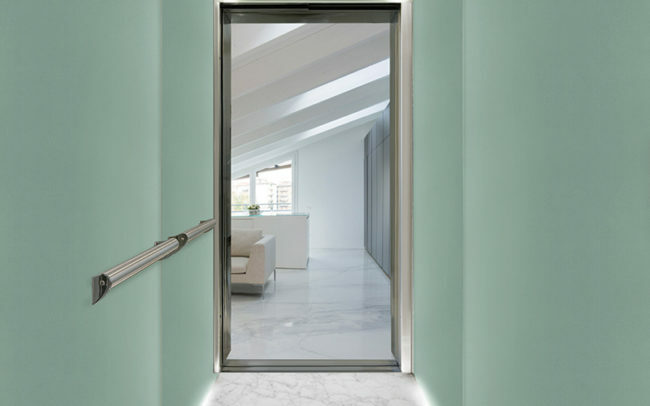 This nanotech material for walls and COP also allows a different experience to the user when inside the cabin, with a higher design level due to the low light reflection with its extreme opaque surface, anti-fingerprint and very pleasant soft touch sensation. 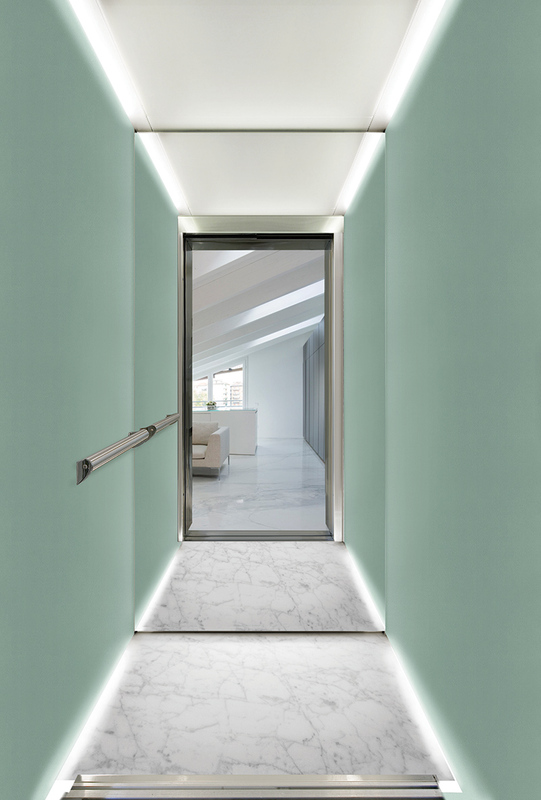 The very special designed illumination, different colours combinations for walls, floors and doors, various command shapes, gives a wide sense of space, relax and personality. 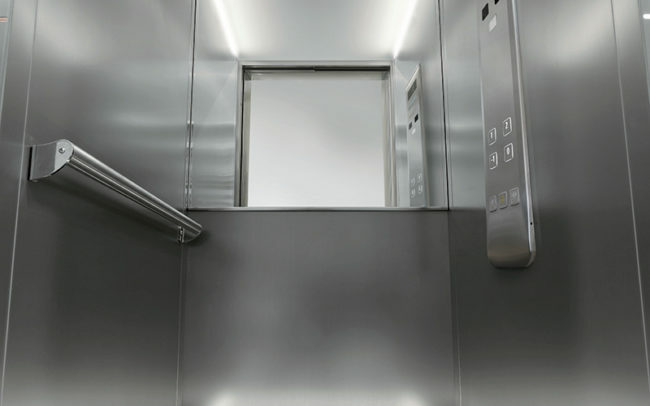 All our lifting platforms can be completely tailored to the client’s special requests in terms of finishes and materials.